What makes it great: College students worldwide dream of starting their careers at Google -- it's ranked no. 1 on our list of most popular employers by business and engineering majors alike. The search engine giant attracts employees eager to work at the forefront of technology and innovation. In just the past year or so, Google has built a new Chromebook from the ground up and jazzed up Google Maps with features ranging from practical (local train schedules) to exotic (underwater panoramic photos). Then there are the famous perks: constant free food, an errand service, massages on site. 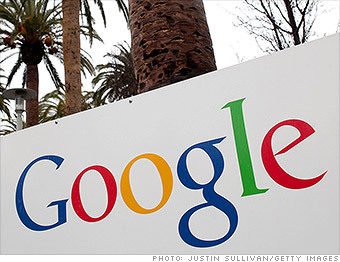 What they're looking for: Top candidates show they're "Googley," says a company spokesperson. In other words, they can innovate in a fast-paced environment, thrive on small teams, excel in flat organizations, and care about making the world a better place, she says. Is Google a great place for new grads to work, or what? Get the complete lineup of ideal employers for B-school students, in an exclusive CNNMoney.com list.